Say hello to Outside. Outside is a weather app that displays the correct weather information right when you need it the most. 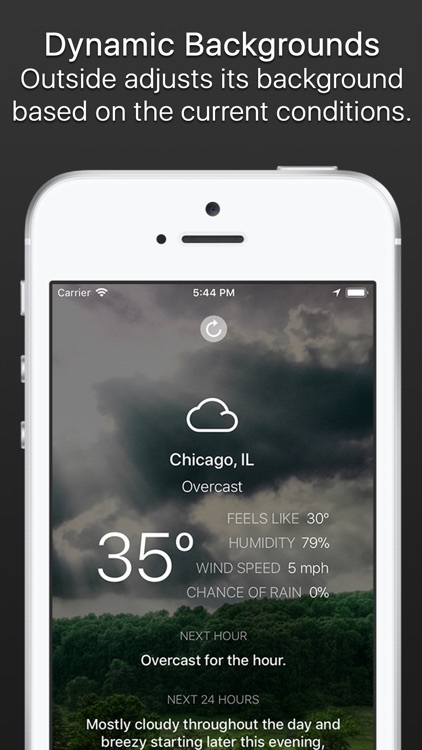 It uses the location of your phone to pinpoint the exact weather forecast for your area. • Support for ALL iPads with iOS 10.3 or newer - iPad 4th generation, iPad 5th generation, iPad 6th generation, iPad Air, iPad Air 2, iPad mini 2, iPad mini 3, iPad mini 4, iPad Pro 10.5", iPad Pro 11", and iPad Pro 12.9"
• Ultra-fast speed - Outside refreshes its data quickly so that the weather forecast always stays up to date. 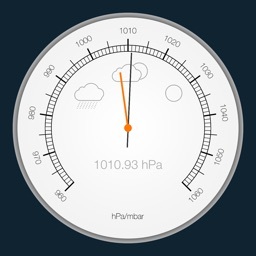 • Pinpoint accuracy - Outside is always checking for weather changes. 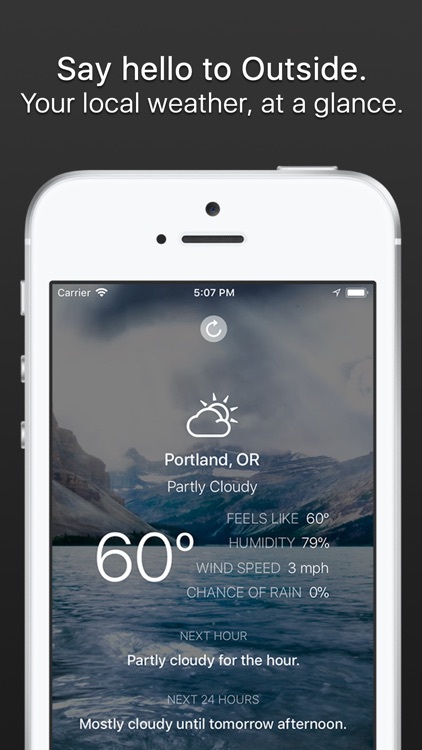 If it finds a weather change, it changes the temperature in the app within seconds. 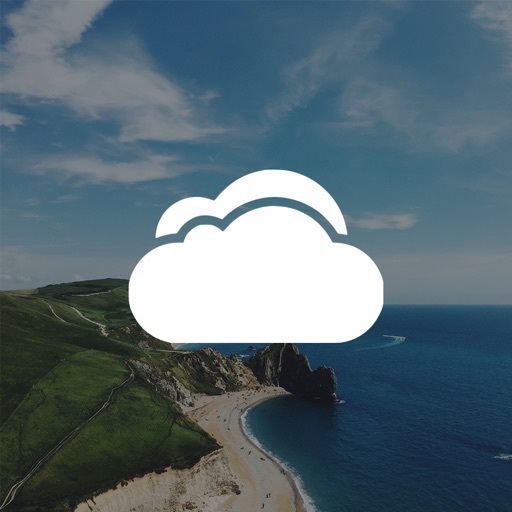 • Dynamic backgrounds - Outside adjusts its background based on the current conditions for easier visualization of the current weather. • Projected weather - Outside projects what the conditions will be ahead of time to make sure you're prepared. 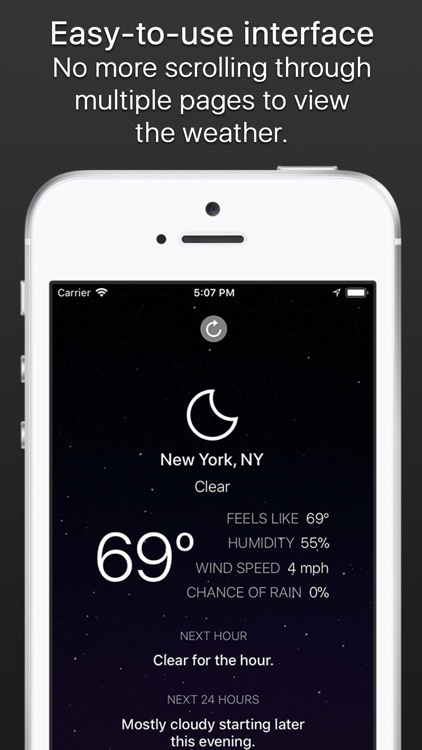 • Easy-to-use interface - No more scrolling through multiple pages to see the temperature outside. 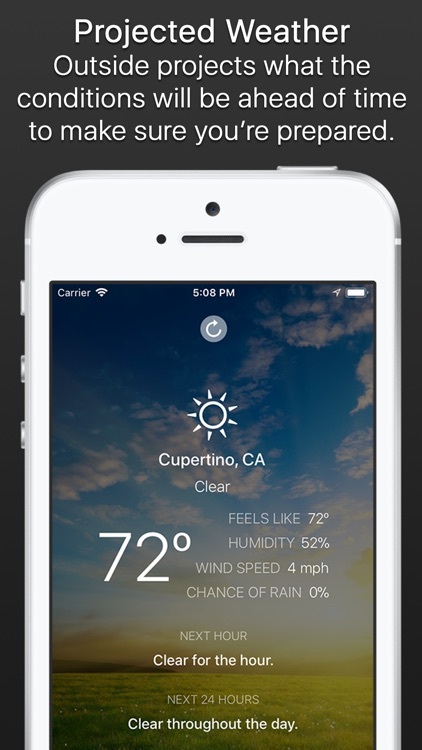 Outside displays the temperature as soon as you open the app. • Constant updates - Outside is always being updated. New features are constantly being added!